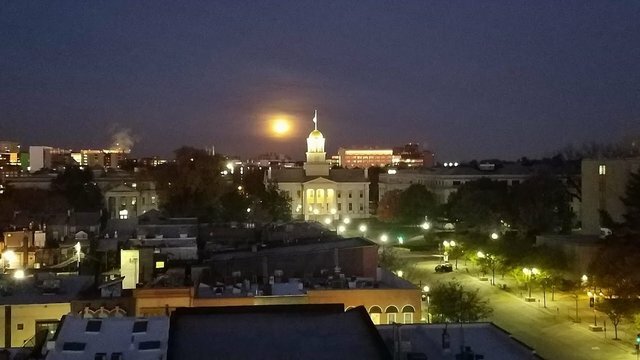 I had some work to do one early morning on the roof of a 7-story building in Iowa City, Iowa. I couldn't resist taking some photos of the downtown area and the University of Iowa Campus. 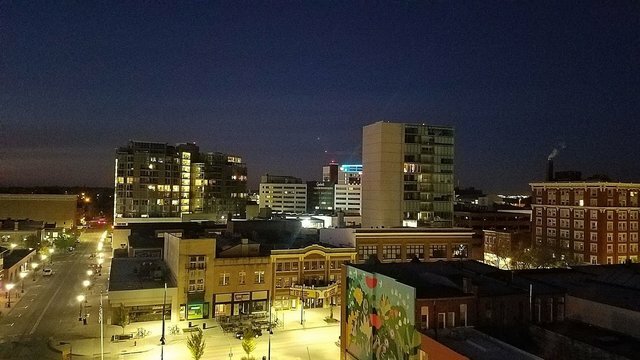 Iowa City is a very healthy, culturally diverse, and progressive city, rapidly approaching a population of 100,000. This figure doubles when there is a Hawkeyes home football game. Much of the high-rise construction has taken place within the past ten years. The company I work for has built almost every one of the large buildings in the pictures. The high-rise building toward the center of the photo with the tower crane is another building my company is currently constructing. It is 16 stories and features apartments, condos, a theather, and a bowling alley. I will likely be working on that project later this winter. 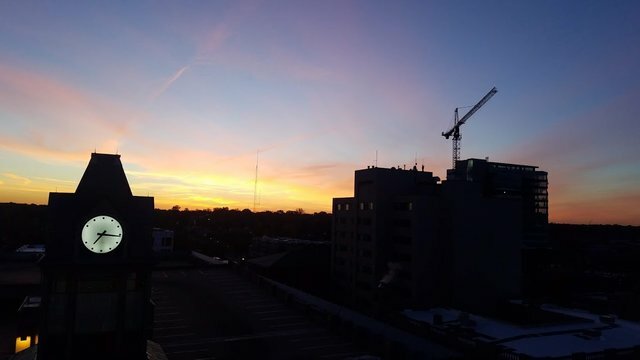 The sun rises behind the clock tower plaza, and silhouettes the buildings to my east. My workday has only begun at this point. 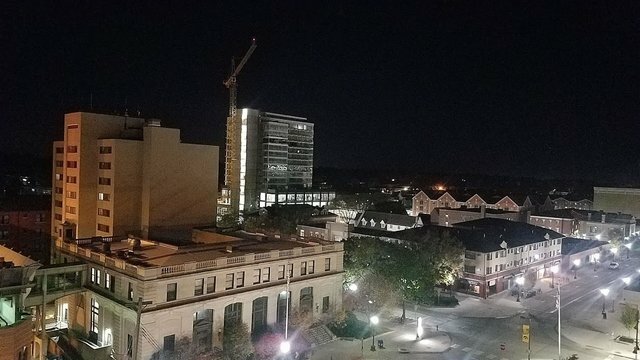 Once I get sent to the new high-rise, I will take some photos of the area from what is now the tallest building in Iowa City.